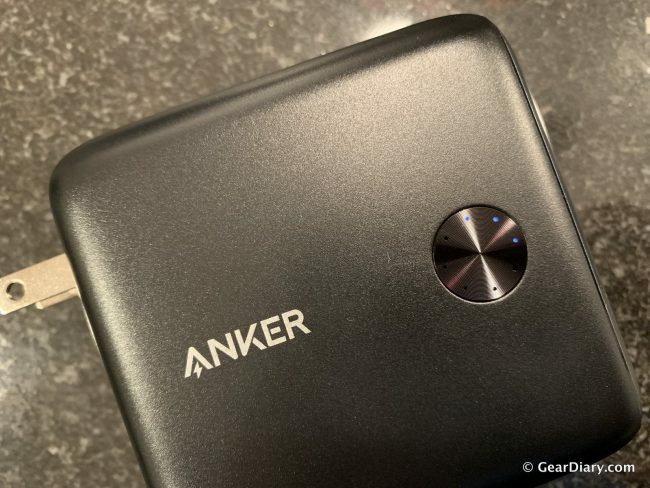 Note: All photos are of the Anker Powercore Fusion 10000, which has been discontinued. The beauty of the PowerCore Fusion 5000 ($25.97) is the fact that it has a flip-out wall charger so you can use the Fusion both as a wall charger and a portable power bank for simple packing for travel. 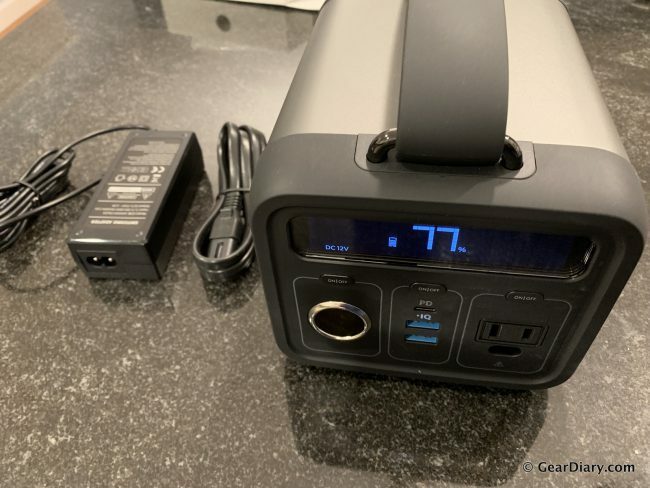 The PowerCore Fusion 5000 has two standard USB jacks and one microUSB input jack for multi-device compatibility and the ability to recharge the battery from the wall or the microUSB jack. 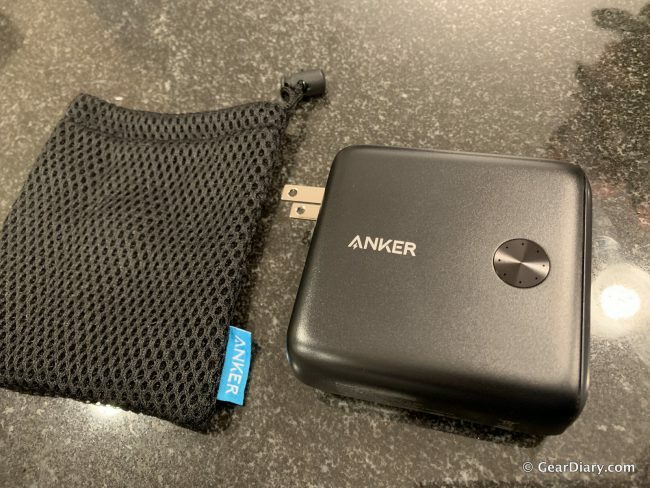 The PowerCore Fusion line also features Anker’s PowerIQ and VoltageBoost technologies to deliver the fastest possible charge to your phone, tablet, game console, and any other USB device. 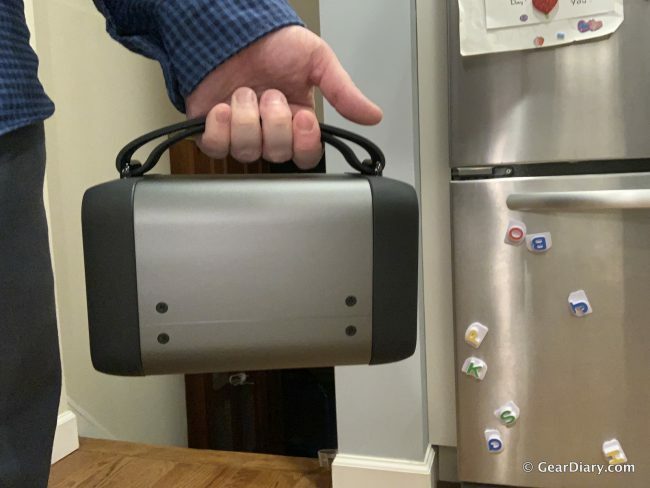 If plugged into an AC outlet, the PowerCore Fusion will first charge your device and then charge itself to be ready to be taken with you on life’s adventures. When completely full, the 5,000 mAh should recharge any flagship phone (think iPhone or Google Pixel) at least once. The PowerCore Fusion is an excellent addition to any travel kit since it doubles as a wall charger so you have to pack less. It’s also small enough to fit in your pocket, though it’s fairly dense. 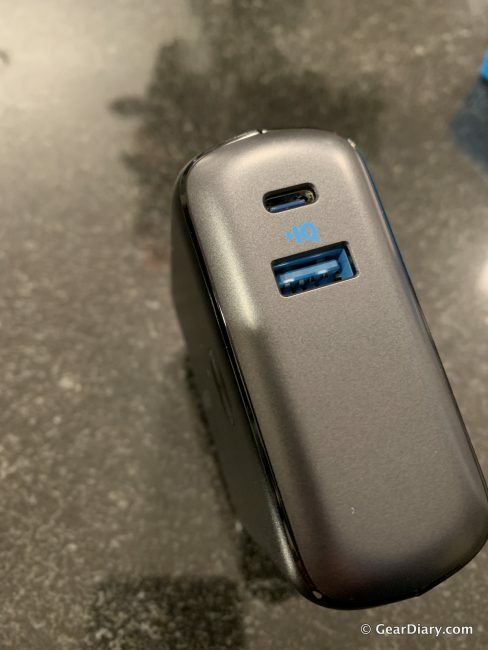 The fact that it replaces a wall charger and can recharge a phone up to at least once makes it a fantastic option for travelers who don’t want to run out of juice. The $349.99 Powerhouse 200 is perfect for emergencies, camping, and more due to its huge battery capacity and decent ability to travel thanks to its handy carry handle. The Powerhouse 200 features a battery capacity of 57,600 mAh, which can recharge a smartphone up to 12+ times. The beauty of the Powerhouse 200 is that it can be used for a multitude of reasons, including fans, mini-fridges, inflatable mattresses, laptops, and so much more. The Powerhouse 200 would be great to have on-hand in case of emergencies. If you see a storm is forecasted and it could be powerful enough to knock out your power, you charge up the Powerhouse 200 in preparation. Then if your power is out, you can use it to temporarily run your fridge, recharge cell phones, and a lot more. It would also be great for camping since you could have it available to keep lamps illuminated, charge phones, and more. You can recharge the Powerhouse 200 using multiple input options, including a standard AC wall outlet, or even using solar power. 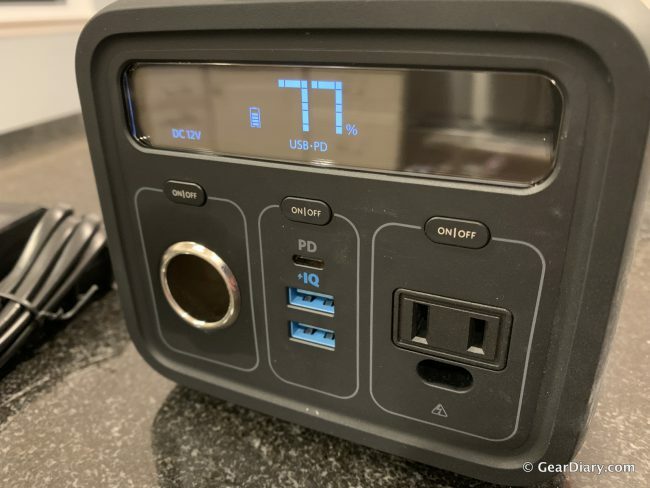 The face of the unit has an LED display that tells you how much battery capacity is left in percentage and it also tells you which jacks are being supplied power. You can turn on and off each of the different outlets individually using the buttons. The Powerhouse 200 includes 1 car charger, 2 standard USB and 1 USB-C, and 1 AC outlet so the power possibilities are endless. There are a ton of safety feature built into the Powerhouse 200 as well, including input short-circuit protection, device overcharge protection, static resistance, battery overcharge protection, output temperature control, and more. 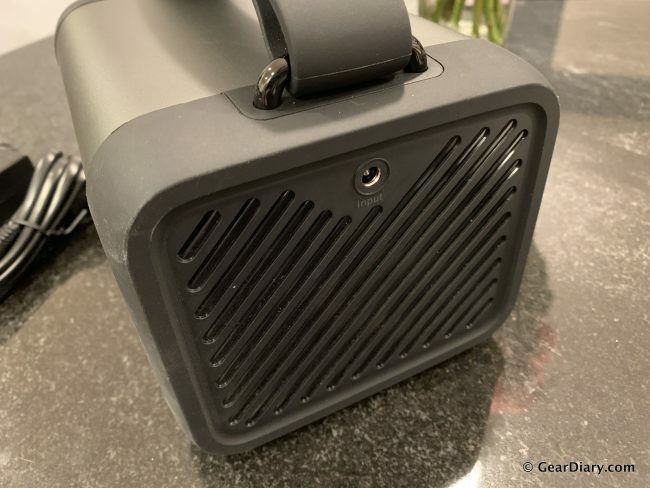 I’m impressed with the Powerhouse 200 and am sad to have to send it back to Anker, but after testing, I can confirm that it’s a great piece of equipment for camping or emergencies. It’s great to have available in case you really need to stay in touch. You can learn more about these and many other Anker accessories at Anker.com. Source: The PowerCore Fusion 10000 (discontinued) was a manufacturer supplied review sample while the Powerhouse 200 was loaned from the manufacturer for testing. What I Like: Great design; Huge battery capacity; Excellent for travel; Multiple output options. What Needs Improvement: Not much!